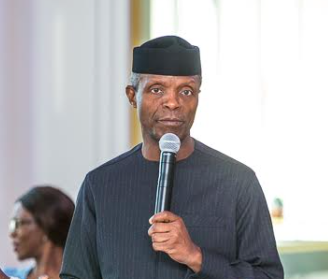 ABUJA—VICE President Yemi Osinbajo, yesterday, held a private meeting with former Chairman of Senate Committee on Works in the 7th Senate, Senator Ayogu Eze, at the Presidential Villa, Abuja. Senator Eze arrived the villa at about 2 pm, accompanied by Senior Special Assistant to the President on National Assembly Matters (Senate), Senator Ita Enang. 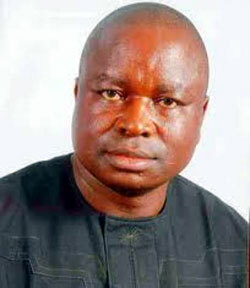 Eze, was Peoples Democratic Party, PDP, senator who represented Enugu North from 2007 to 2015 and aspired for the ticket of the PDP to run for the governorship position in Enugu State in 2015. He lost to the eventual winner and current governor of Enugu State, Ifeanyi Ugwuanyi. Last week, Ayogu Eze defected to the ruling All Progressives Congress, APC, and his visit to the villa, yesterday, followed his defection to the APC.